People are advised that this website may contain images of those who have passed away. 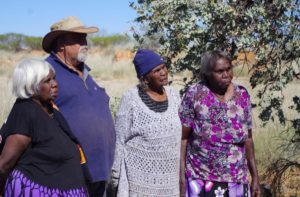 The focus of this program is to record and preserve the rich cultural knowledge associated with the Woodstock-Abydos Protected Reserve by a team of Aboriginal rangers, elders and heritage specialists. 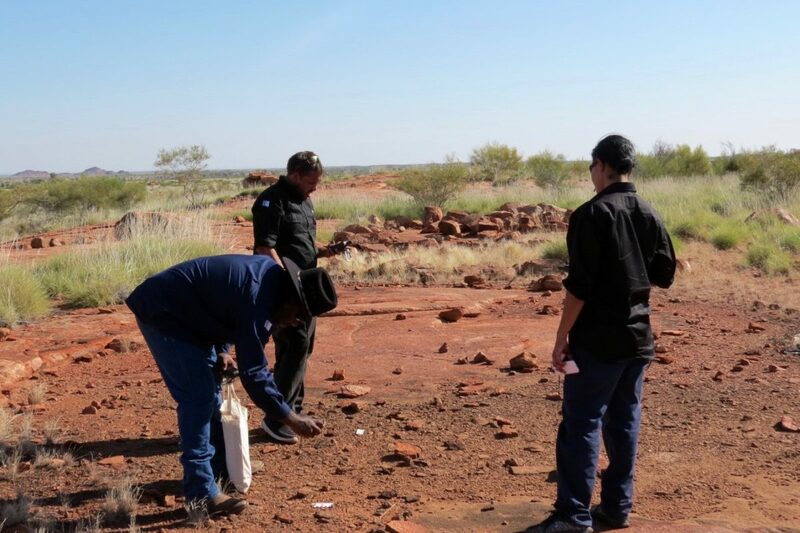 The rangers are currently completing nationally-recognised training in Certificate III in Aboriginal Sites Work (AHC32513). Over the last two years Budadee Foundation has supported over 30 community members to visit the Reserve. 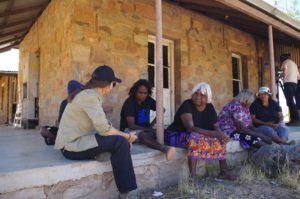 Elders and young people have been working together to record stories, cultural protocols and heritage management for many significant places. This is important as research since the 1960s has reported increasing damage of Aboriginal sites in the Reserve, and that the region should be treated as a special emergency project. We have so far focused our efforts on Woodstock Station in Palyku country, an area traditionally known as Tharra. It is renowned for extensive rock art complexes, ancient engravings and many important women’s and men’s ceremonial sites. The main aim of this program is to pass on the skills and confidence to the next generation of custodians for Tharra so they can confidently manage the Reserve and the sites within. 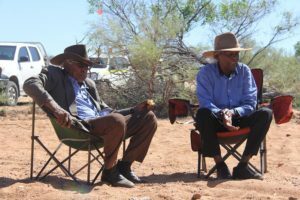 Multiple trips to the Tharra with elders from Nullagine, Yandeyarra, Port Hedland and Marble Bar to document Cultural Protocols and record sites. Recording of important rock art sites: Gallery Hill and Lukis Granites as well as many other sites. Reporting site damage to the Department of Planning Lands and Heritage (formerly DAA). 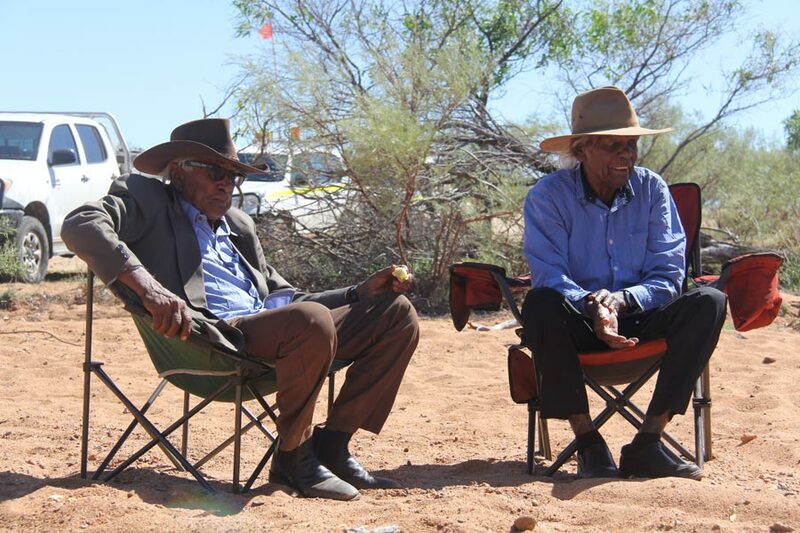 Engaging young people in cultural recording with elders. Producing a Budadee promotional video to assist with funding and a site recording video at Gallery Hill. 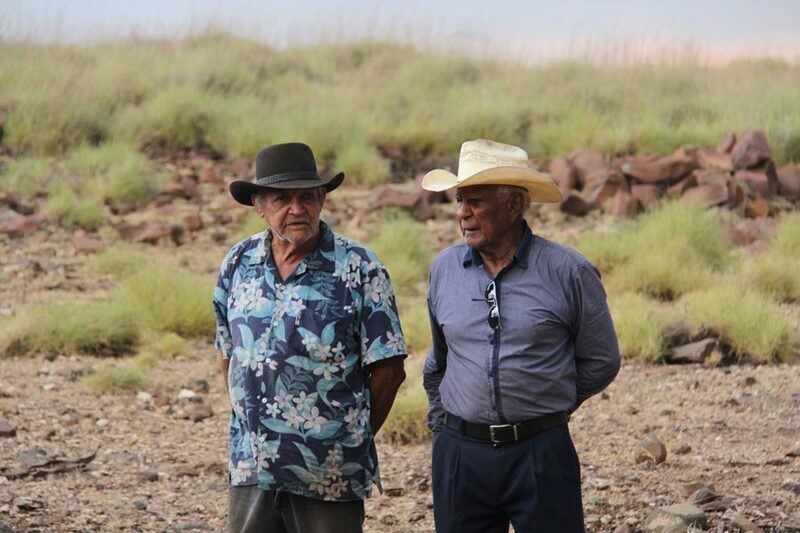 Rangers have completed up to 7 units for Certificate III in Aboriginal Sites Work. 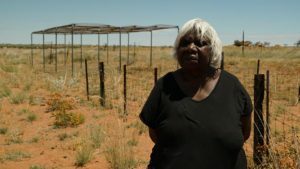 The wider protected area is the traditional homelands of the Palyku, Kariyarra and Njamal people, with custodial rights and interests in the area extending across several neighbouring Aboriginal groups. Senior custodians Tharra have established a traditional decision-making process that involves consensus between each group before knowledge about sites and stories is shared. Before the details are made public information is reviewed by Budadee and its representatives. Considering the cultural significance of the protected area, several field trips and broad consultation within communities has been required. A Cultural Heritage Management Plan is also being developed for significant sites within the protected area. Continue knowledge recording for key sites. Complete the Certificate III in Aboriginal Sites Work. Design a cultural tour of the area. This is an important professional development step for the Budadee ranger team that will build their cultural knowledge and confidence to become the next generation of cultural custodians for the area. To respect cultural protocols, photos cannot be copied or reproduced in any way without written permission from the Budadee Foundation.